Coilostylis ciliaris (formerly Epidendrum ciliare) White Frilly Fringed Star Orchid – very fragrant at night. 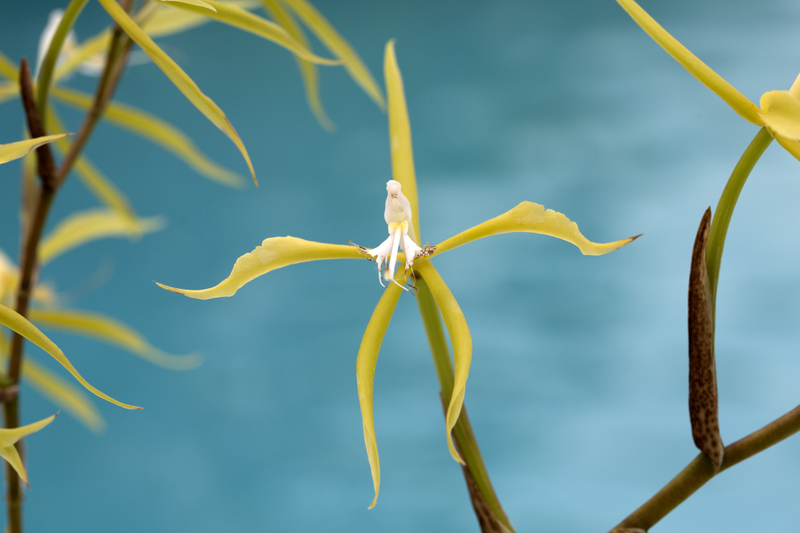 When the orchid has finished flowering, leave the spike on the plant because the same spike can produce more blossoms within a few months (these orchids can bloom year round). If you are lucky, the spike will produce a “keiki” – Hawaiian for baby. It is a clone that will develop its own roots and can be moved into its own pot. Winegar backyard, Palm Bay, Florida.